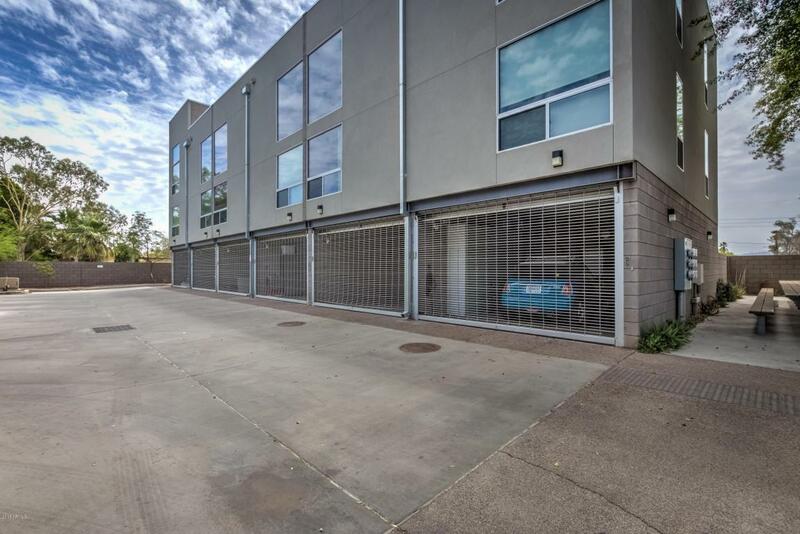 Welcome to Portland 38, walking distance to restaurants, bars, concerts, ball games and the ever popular Roosevelt row! 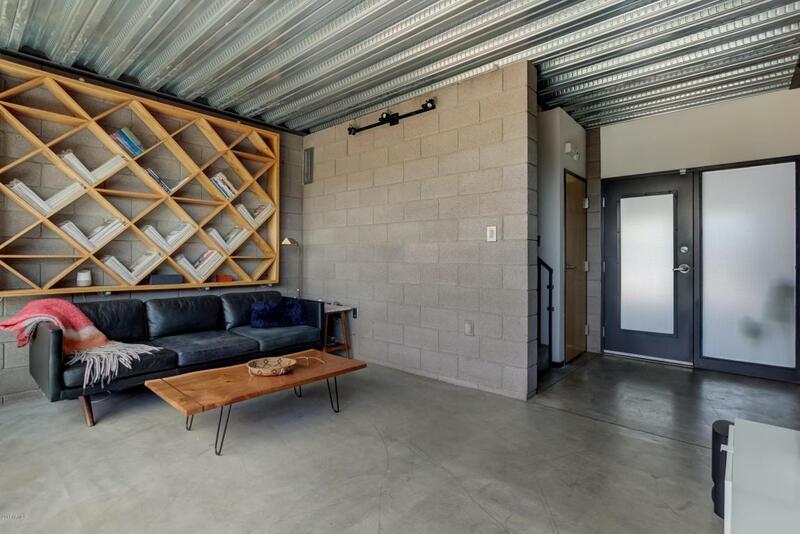 This industrial inspired loft in Downtown Phoenix was designed by acclaimed architect Michael Underhill, maximizing space and light. 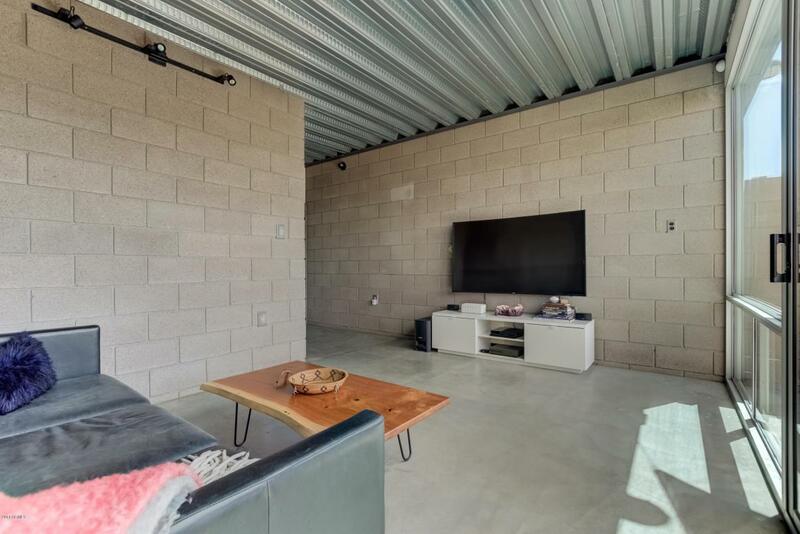 Units with SMART home amenities including: Nest Thermostat, Nest Smoke detector, Philips HUE lighting system in the master bedroom, and the security focused Ring door bell, rarely come on the market. 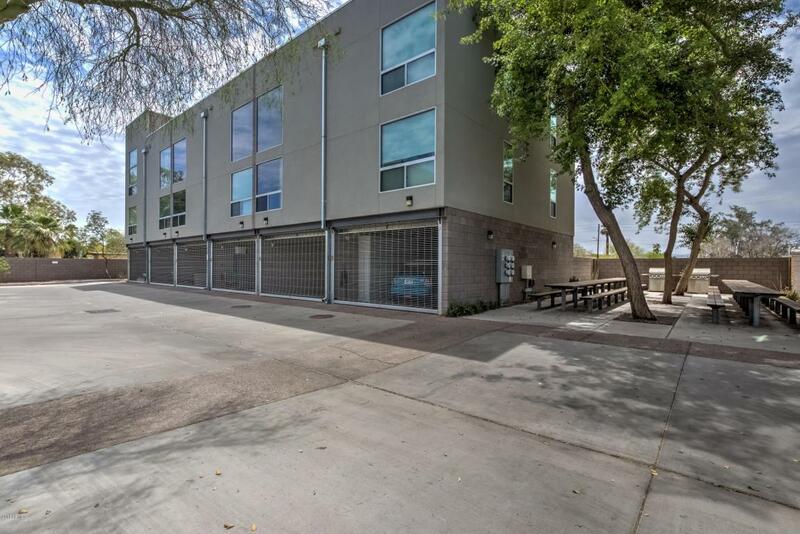 This home boasts tons of natural light with two open floors of dual pane energy efficient windows, recently refinished contemporary cement flooring, and a flexible living design by utilizing the second bedroom as a living space or open office. The master bedroom includes a custom closet creating additional space, storage, and convenience, alongwith built in cabinetry in the extra large 1.5 car garage. The carefully designed backyard has low maintenance artificial grass and stylish patio cover to maximize the use of this space all year round. This home also has extensive rewiring for a higher, more consistent internet speed which is great for a home office. This unit is a must see!